This is a review of the SFM Business Model. What exactly is the business model of the SFM? The founders of the Six Figure Mentors (SFM) adapted the online affiliate business model (made popular by Amazon starting in 2004) and used some ideas of the franchise business model to provide a powerful business option for any ambitious individuals to start getting into the digital economy. The SFM Business System provides a ready to go set of websites for the members, hosted on their own domains, while the client email database of every member is owned and cultivated by the member itself. This concept enables members / students to drive traffic to their franchise-like website. By providing them a valuable product to sell they are avoiding the complicated process of product creation. Students can start focusing on online marketing (the lifeblood of any business) almost instantly while building their client list. In comparison with any other franchise business, the initial costs for any student to start are at the lowest end possible and affordable to anyone. If you have a brilliant idea like the concept of Stuart Ross and Jay Kubassek to bring online marketing education within reach of anyone, you have to options to sell it at scale. Get Venture Capital from the market and pay a marketing agency to handle the online marketing. Get a bunch of ambitious, enthusiastic individuals to figure out how to sell your product to the market and pay them commissions for doing so. Which concept is more sympathetic to you? Coming from the affiliate side of business where Stuart and Jay made their first breakthrough in business, it is natural for them to choose the second approach. By providing high ticket commissions for selling their product line through affiliates, they make sure to get a loyal and committed community of affiliates while the products are incredibly attractive in educational value, concept, and culture. Subscribe to receive my constant free updates about the progress and opportunities of the online markets. First things first! 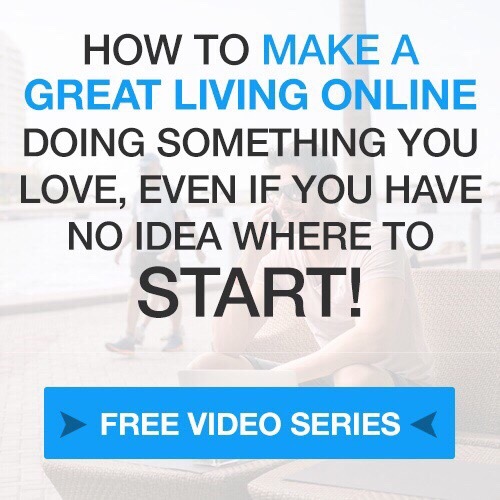 You will get our FREE video series to get an understanding of the foundation I am working on! Is the SFM business model a Pyramid Business Model or an MLM (Multi-Level Marketing) construct? This question is hanging around in the world of digital products all the time when a product is successful while the value is hard to define. No, SFM is no Pyramid and no MLM! If you are not sure about this, you probably have to ask yourself, what are the characteristics, the relevance, the pros, and the cons of these concepts. MLM Models are known for ripping off people and at least here in Switzerland, they are declared as being a fraud. If somebody started an MLM construct, the idea was to sell the “product” as many times you could to others who then would go on selling it, while the first seller would profit through commissions from all sellers below. Everyone starts building his/her own pyramid to generate his income. Due to excessive sales and the trend effect these constructs take off at any time exponentially and finally explode when nobody wants to buy-in anymore. If the MLM product requires training of the sales staff and the distribution grows exponentially, the training can’t be fulfilled by the new clients who become vendors through purchasing the product. In a moment of hype, the product can’t provide what it promises and the clients request their money back. This will lead to a collapse. The biggest frauds we currently experience in my point of view, while not being MLM constructs but investment vehicles are the coins, issued lately with Bitcoin as the main driver. These investment vehicles try to sell themselves as currencies but they are not backed up by anything and providing 0 value to the society. They are pure speculation and not backed up by any real value. Often called the new Gold, they are fundamentally different to Gold. If the underlying Blockchain would blow up for any reason there would be nothing than hot air left. The SFM is a digital product, sold through affiliates. VALUE: As a student over 2 years I experienced how the information on the platform and its quality was extended over time, evolving into a real education platform. GROWTH: The pricing of the products is used as friction to grow slowly. The founders want to make sure to have enough capacities for their students to provide the systems and services at first quality. The SFM is constantly working against being hyped and against internet black hats! We don’t want students and members who are here to get rich quick! Anyone who starts the process of becoming a member of the community has to talk with at least 2 staff members on the fon. If somebody is telling you differently, he might have been identified as a black hat with improper ethics.